A few months ago, physicist Sean Carroll has some words of wisdom for physicists who might have less than complimentary things to say about philosophy. The most recent altercation between a physicist and philosophy came from Neil deGrasse Tyson who casually disparaged philosophy in a Q&A session, saying that it can be a time sink and it doesn’t actually provide any concrete answers to scientific questions. Now I am willing to give Tyson the benefit of doubt since his comment was probably a throwaway remark; plus it’s always easy for scientists to take potshots at philosophers in a friendly sort of way, much like the Yale football team would take potshots at its Harvard counterpart. But Tyson’s response was only the latest in a series of run-ins that the two disciplines have had over the past few years. For instance in 2012 philosopher David Albert castigated physicist Lawrence Krauss for purportedly claiming in his most recent book that physics had settled or at least given plausible answers to the fundamental question of existence. In reply Krauss called Albert “moronic” which didn’t help much to bridge the divide between the two fields. 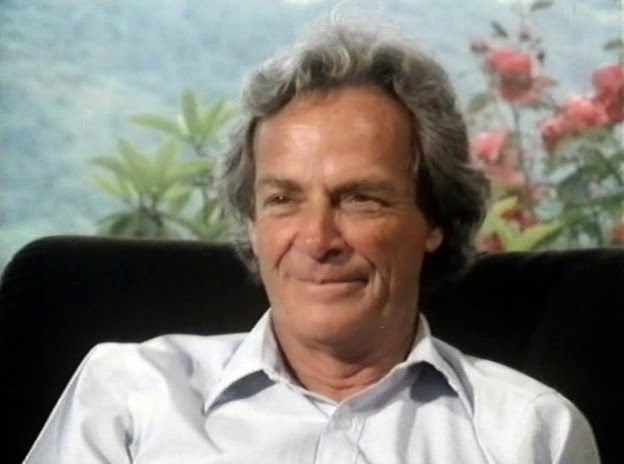 Stephen Hawking also had some harsh words for philosophers, saying that he thought “philosophy is dead”, and going further back, Richard Feynman was famously disdainful of philosophy which he called “dopey”. Earlier this year the 'Big Questions' website Edge.org’s asked the following question: “What scientific idea is ready for retirement”? In response to the question physicist Sean Carroll. Carroll takes on an idea from the philosophy of science that’s usually considered a given: falsification. I mostly agree with Carroll’s take, although others seem to be unhappier, mainly because Carroll seems to be postulating that lack of falsification should not really make a dent in ideas like the multiverse and string theory. I think falsification is one of those ideas which is a good guideline but which cannot be taken at face value and applied with abandon to every scientific paradigm or field. It’s also a good example of how ideas from the philosophy of science may have little to do with real science. Too much of anything is bad, especially when that anything is considered to be an inviolable truth. It’s instructive to look at falsification’s father to understand the problems with the idea. 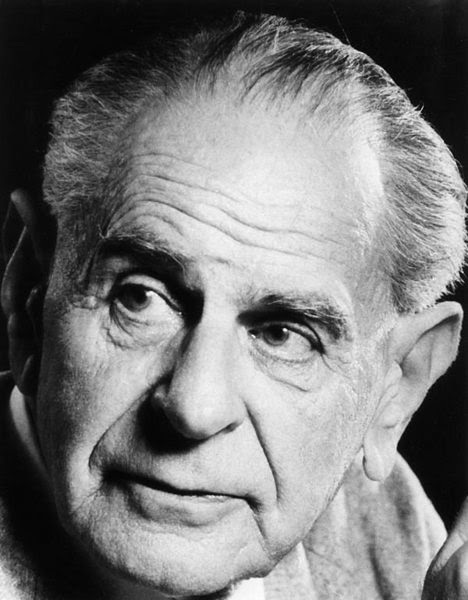 Just like his successor Thomas Kuhn, Karl Popper was steeped in physics. He grew up during the heyday of the discipline and ran circles around the Vienna Circle whose members (mostly mathematicians, physicists and philosophers) never really accepted him as part of the group. Just like Kuhn Popper was heavily influenced by the revolutionary discoveries in physics during the 1920s and 30s and this colored his philosophy of science. Popper and Kuhn are both favorite examples of mine for illustrating how the philosophy of science has been biased toward physics and by physicists. The origin of falsification was simple: Popper realized that no amount of data can really prove a theory, but that even a single key data point can potentially disprove it. The two scientific paradigms which were reigning then – quantum mechanics and relativity – certainly conformed to his theory. Physics as practiced then was adept at making very precise, quantitative predictions about a variety of phenomena, from the electron’s charge to the perihelion of Mercury. Falsification certainly worked very well when applied to these theories. Sensibly Popper advocated it as a tool to distinguish science from non-science (and from nonsense). But in 2014 falsification has become a much less reliable and more complicated beast. Let’s run through a list of its limitations and failures. For one thing, Popper’s idea that no amount of data can confirm a theory is a dictum that’s simply not obeyed by the majority of the world’s scientists. In practice a large amount of data does improve confidence in a theory. Scientists usually don’t need to confirm a theory one hundred percent in order to trust and use it; in most cases a theory only needs to be good enough. Thus the purported lack of confidence in a theory just because we are not one hundred percent sure of its validity is a philosophical fear, more pondered by grim professors haunting the halls of academia than by practical scientists performing experiments in the everyday world. Nor does Popper’s exhortation that a single incisive data point slay a theory hold any water in many scientists’ minds. Whether because of pride in their creations or because of simple caution, most scientists don’t discard a theory the moment there’s an experiment which disagrees with its main conclusions. Maybe the apparatus is flawed, or maybe you have done the statistics wrong; there’s always something that can rescue a theory from death. But most frequently, it’s a simple tweaking of the theory that can save it. For instance, the highly unexpected discovery of CP violation did not require physicists to discard the theoretical framework of particle physics. They could easily save their quantum universe by introducing some further principles that accounted for the anomalous phenomenon. Science would be in trouble if scientists started abandoning theories the moment an experiment disagreed with them. Of course there are some cases where a single experiment can actually make or break a theory but fortunately for the sanity of its practitioners, there are few such cases in science. Another reason why falsification has turned into a nebulous entity is because much of modern, cutting-edge science is based on models rather than theories. Models are both simpler and less rigorous than theories and they apply to specific, complicated situations which cannot be resolved from first principles. There may be multiple models that can account for the same piece of data. As a molecular modeler I am fully aware of how one can tweak models to fit the data. Sometimes this is justified, at other times it’s a sneaky way to avoid admitting failure. But whatever the case, the fact is that falsification of a model almost never kills it instantly since a model by its very nature is supposed to be more or less a fictional construct. Both climate models and molecular models can be manipulated to agree with the data when the data disagrees with their previous incarnation, a fact that gives many climate skeptics heartburn. The issue here is not whether such manipulation is justified, rather it’s that falsification is really a blunt tool to judge the validity of such models. As science becomes even more complex and model-driven, this failure of falsification to discriminate between competing models will become even more widespread. The last problem with falsification is that since it was heavily influenced by Popper’s training in physics it simply fails to apply to many activities pursued by scientists in other fields, such as chemistry. 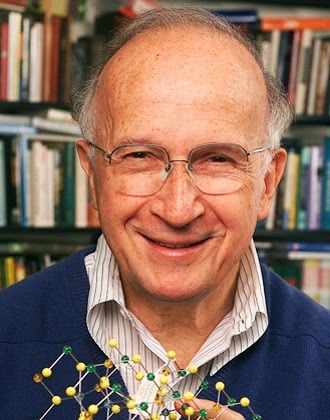 The Nobel Prize winning Roald Hoffmann has argued in his recent book how falsification is almost irrelevant to many chemists whose main activity is to synthesize molecules. 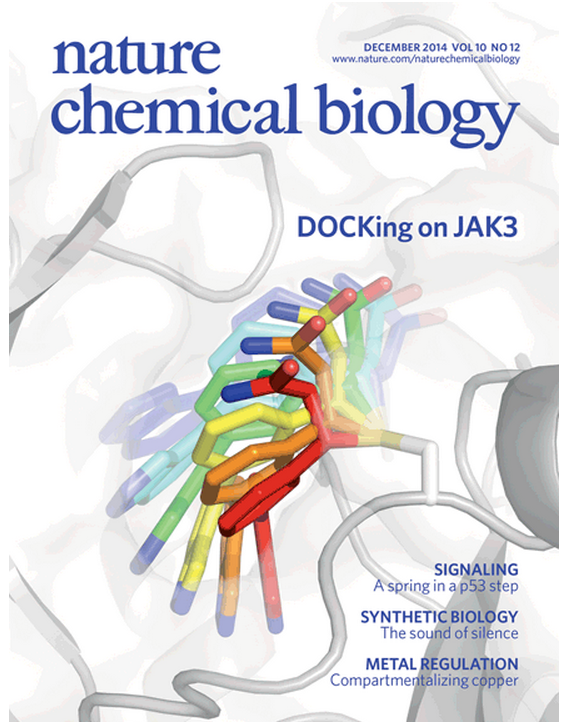 What hypothesis are you falsifying, exactly, when you are making a new drug to treat cancer or a new polymer to sense toxic environmental chemicals? Now you could get very vague and general and claim that every scientific experiment is a falsification experiment since it’s implicitly based on belief in some principle of science. But as they say, a theory that explains everything explains nothing, so such a catchall definition of falsification ceases to be useful. All this being said, there is no doubt that falsification is a generally useful guideline for doing science. Like a few other commenters I am surprised that Carroll uses his critique of falsification to justify work in areas like string theory and the multiverse, because it seems to me that those are precisely the areas where testable and falsifiable predictions are badly needed because of lack of success. Perhaps Carroll is simply saying that too much of anything including falsification is bad. With that I resoundingly agree. In fact I would go further and contend that too much of philosophy is always bad for science; as they say, the philosophy of science is too important to be left to philosophers of science. From the NYT comes this really tragic story of a man who was killed when a tape measure from a construction site fell down 50 floors and struck him on the head. My deepest condolences to his family. The tape measure weighed a pound so it may seem strange that it led to such an irreversible and horrible fate. Sadly the man wasn't wearing a hard hat. And physics was not on his side: as we will see below, the tape measure that struck him was tantamount to a bullet. Here, u is the initial velocity, v is the final velocity, a is the acceleration, s is the distance covered and t is the time. u = 0 since the tape measure started from a stationary state. So v^2 comes out to be 2*9.8*121.9 = 2389.24 which we will round up to 2389. Now the kinetic energy is just mv^2/2 so we multiply this number by the mass which is 0.45 kilograms and divide by 2. 2389*0.45/2 = 537.48, which we will round up to 537 joules. How does this number compare to the kinetic energy of other deadly projectiles, say bullets? From this Wikipedia article on muzzle energy comes a comparison chart. 500 joules is the KE of a bullet from a 0.45 Colt pistol. The same Colt that was called "the gun that won the American West" and which was the US military's standard issue firearm until the end of the 19th century. So the tape measure that ended a life in Jersey City today had a kinetic energy that was more than the energy of a bullet from a 0.45 Colt. It was as if the man whose belt the tape measure fell from had shot the other guy at point blank range with a 0.45 Colt. I am assuming that even with a hard hat his chances of survival might have been close to zero. But possibly finite. This simple calculation makes as good a case as we can think of for safeguarding every piece of equipment, no matter how small or large, at the top of construction sites with your life. 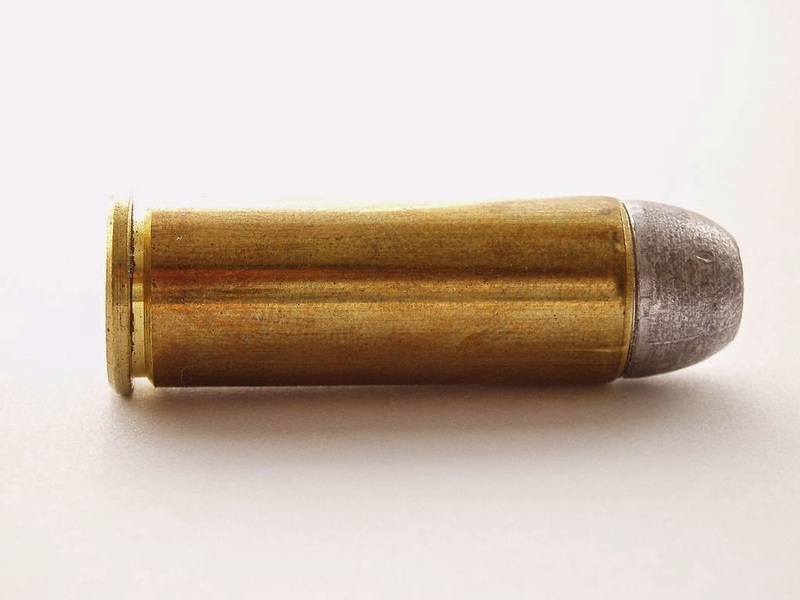 Doing the same math for a quarter (weighing about 6 grams) gives an energy of only 7 joules, but bump up the weight to a third of a pound and the object acquires the same KE as a bullet from a 0.22LR pistol (about 160 joules). The nature of the impact would of course also depend on the material, its shape, surface area (which is tiny for a bullet) the angle at which it strikes and other factors, but that would really be quibbling over trifles (as far as safety is concerned). There are umpteen number of things on a construction site that are hard, rigid objects and weigh at least a third of a pound; large keychains, travel mugs, small tools like screwdrivers and cell phones come to mind. Newton's equations tell us why it's worth making sure that each one of these common necessities of daily life should be watched and secured as closely as possible. And please, please wear a hard hat. Because everything changes when you are 400 ft from the ground. P.S. I just took a look at my copy of Halliday and Resnick's classic physics textbook and realized that a much simpler way to do this would be to calculate the potential energy at the top - mgh. QED. This is what happens when you have not been doing physics formally for a while. It's still a good way to illustrate Newton's equations though.